In what may be one of HWMO’s most ambitious efforts, we set out to distribute as many Wildfire Lookout! flyers to as many schools as we could on the leeward sides of each of the major islands in Hawaiʻi. With boxes upon boxes of Wildfire Lookout! 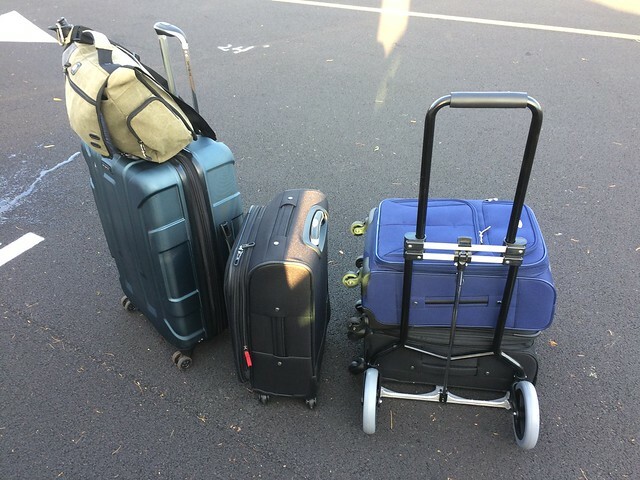 flyers stuffed into suitcases, HWMO’s Elizabeth Pickett and Pablo Beimler visited over 50 schools on Kauaʻi, Maui, Oʻahu, and Hawaiʻi Island from May 22-24 and distributed a total of nearly 25,000 flyers. Those flyers were included in students’ final take-home packets before the summer (and peak fire season) begun. The outreach push was made possible thanks to Grant-In-Aid from the State and was another highlight of Wildfire Preparedness Month this year. Thank you to all of the schools’ staff for helping distribute flyers to students (some schools posted the flyers in the office, library, cafeteria, or other common spaces). Banner photo: Waimea Canyon school with recent wildfire-scarred area in background.